Cutting Equipment - Bois B.V.
Manipulators are hydraulically anchored for stability of the rotating cutting nozzle. 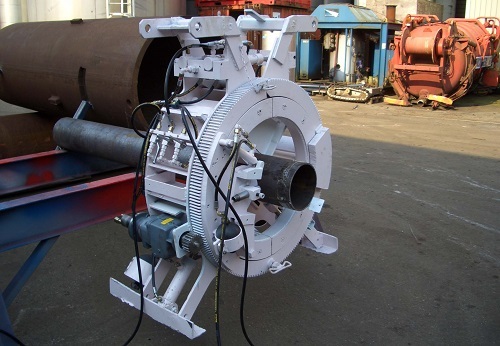 Straight cuts are controlled by solid H-beam manipulators. All are controlled from the deck. Safe working equipment, a consciously safe way of working using High Pressure equipment and a perfect preparation have resulted in successful jobs with a zero-accident reputation.